Blue Ridge Campground is a small campground with only 10 newly renovated campsites. A 5 mile drive to the south brings you to Blue Ridge Reservoir, an 8 mile pocket of water that is both tranquil and inviting. Rainbow, brown and brook trout all ply this body of water and the relaxing surroundings make the trip here well worth it. 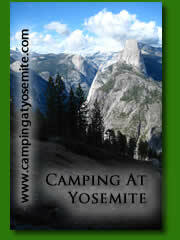 If you are one who likes to view wildlife, this is a great place to camp. Commonly seen are elk, bear, deer and eagles. Rock crossing trail cuts across both the north and south fingers of the reservoir for those looking for a moderate hike. The Happy Jack Visitor Center is located 14 miles north of Clints Well on Forest Highway 3 (Lake Mary Road). From Payson travel north on S.R. 87 nine miles past Clint Well to F.R. 138 turn right and drive about a mile to the campground. From Winslow, Drive south on S.R. 87 just past the Blue Ridge Ranger Station to F.R. 138 then drive about a mile south to the campground. From Flagstaff, drive southeast on Lake Mary Road to Clints Well, Turn left 9 miles to F.R. 138. Turn right and drive about 1 mile to the campground.